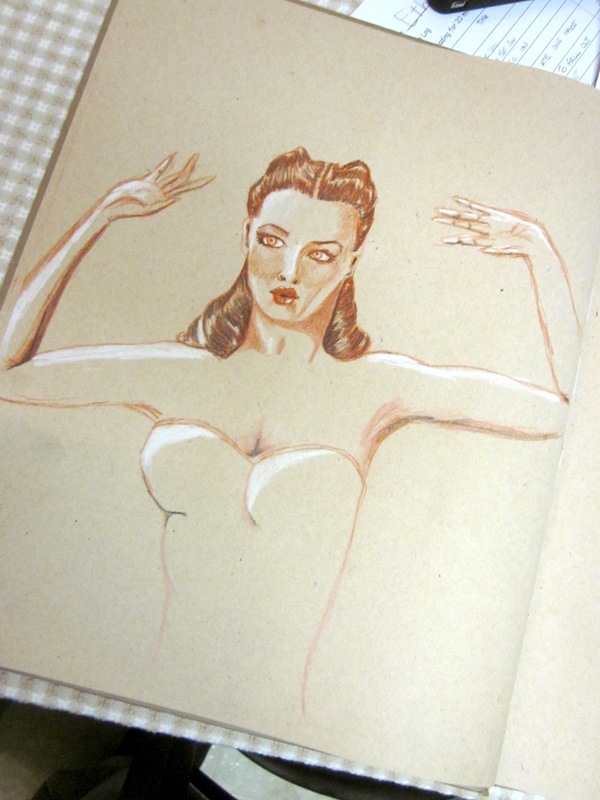 Pin up sketches. These are a few recent sketches. I bought a big new sketchbook and I'm very happy about the paper. It's a recycled, Ph balanced paper with an oatmeal color. It has a nice texture.